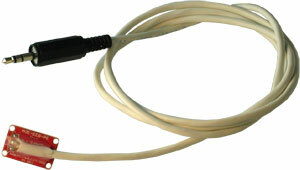 Unfortunately, commercial EEG devices are generally too expensive to become a hobbyist tool or toy. The OpenEEG project is about making plans and software for do-it-yourself EEG devices available for free (as in GPL). It is aimed toward amateurs who would like to experiment with EEG. However, if you are a pro in any of the fields of electronics, neurofeedback, software development etc., you are of course welcome to join the mailing-list and share your wisdom. 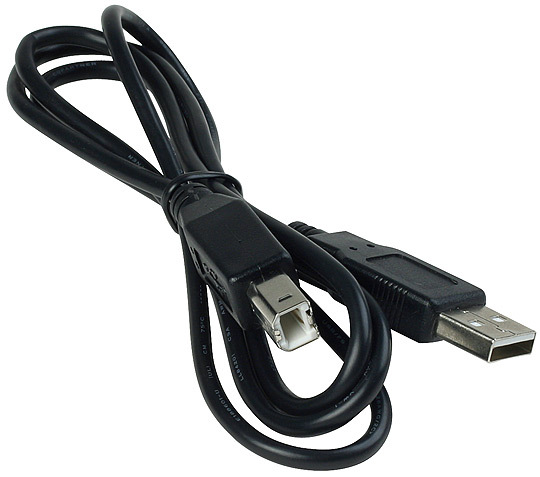 All you need is a USB cable with a type B connector (sold separately) and 5 electrodes: 5 passive electrodes or 4 active electrodes and 1 passive electrode for DRL (the electrodes are sold separately). 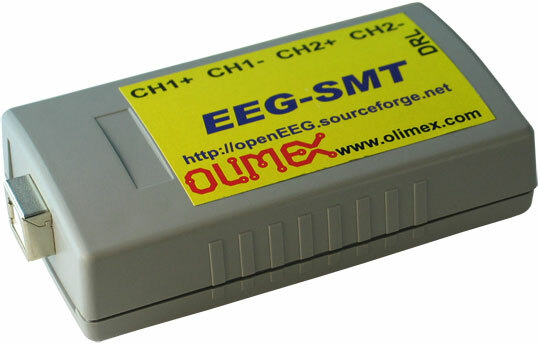 Which software tools are tested and working with Olimex EEG-SMT? I'm using Windows and when I plug EEG-SMT my mouse goes crazy. What is the problem? This is a well-known and documented problem with the Microsoft COM communication due to a bug in Windows. Check the user's manual above for two tested and working solutions. What is the amplification gain out of the box and secondly , how can is amplifciation gain be changed? 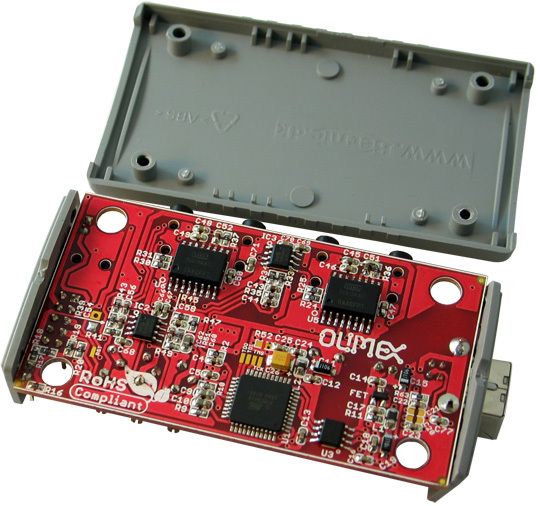 What is the amplification gain of EEG-SMT out of the box? Can it be changed? How can I change the amplificiation gain? If you are interested in the exact amplification at any point you can measure the current value of the trimmer and calculate the rest. 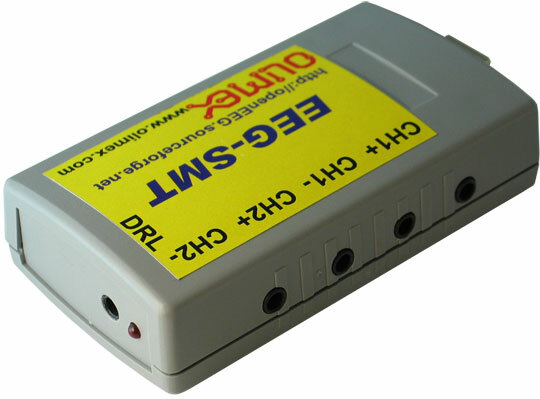 This requires opening the box of EEG-SMT and a multimeter or ohmmeter tool. For example, for channel one of EEG-SMT - use the formula to get the amplification of this part of the filter is G=1 + R38/(TR1+R40); where R38 and R40 are known (R38 = 100k; R40 = 1k). 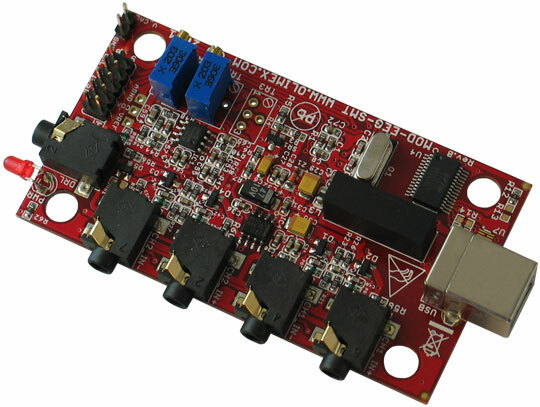 Make sure that you measure the resistance of TR1 properly – the board should be unpowered and you measure resistance at both ends of TR1 (pins 1 and 2). Calculate and you would receive the exact G at this step. If you want to change the hardware amplification – open the box carefully and rotate the cap of the trimmer resistor (also known as potentiometer or simply pot). Simply said, this alters the resistance and changes the amplification. Typically, this is not hard to do, yet we found out that a lot of customers manage to damage their EEG-SMT units while opening them or while rotating the pots. That is why, please note, that opening the box voids the warranty. Note that the calculations here are also quite rough. To calculate everything very preceisly (take into acount the HF rejection, the error margins of the operational amplifiers, and so on) you would need to study the schematic. I want to write own software to interprete the data from EEG-SMT. Can you give me a detailed description of the protocol used? 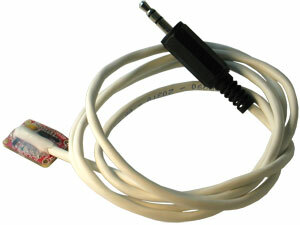 The data packet follows OpenEEG's firmware 2. The source of firmware 2 might be found in the firmware source files and also at the OpenEEG's web site. 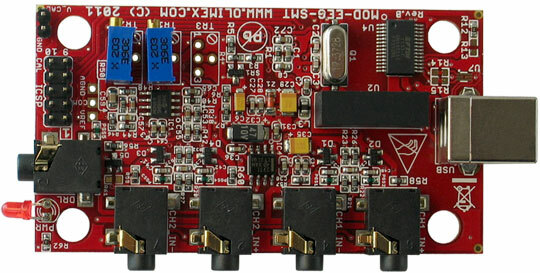 The device samples the analog signals and builds a 17-byte packet which is transmitted at 256Hz, using 1 start bit, 8 data bits, 1 stop bit, no parity, 57600 bits per second. Minimial transmission speed is 256Hz * sizeof(modeeg_packet) * 10 = 43520 bps.